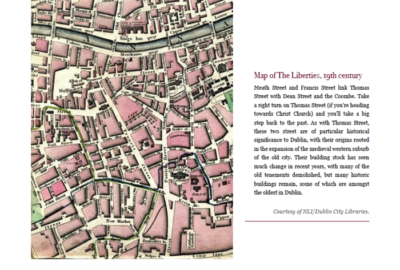 The Liberties, at the heart of the city centre, can be described as the soul of Dublin. This book takes the reader on a tour of this culturally and historically significant area of Dublin 8, with author Maurice Curtis guiding you through the places and people that have contributed to the neighbourhood’s lasting legacy. From the area’s beginnings in the Middle Ages, this book spans the centuries, giving a full picture of the history of life at the heart of Dublin city, and the rich community that has given it its unique character. 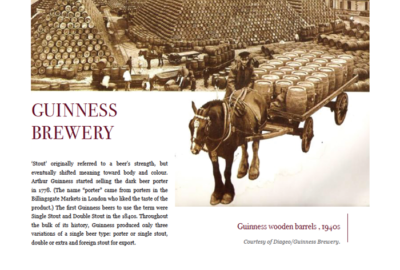 With dedicated sections on the biggest landmarks in the area, St Patrick’s Cathedral, Christ Church, the Guinness Factory, Powers Distillery and Jacob’s Biscuit Factory, alongside photos of the everyday lives of the people who lived in the area, Curtis gives the reader a tour of the history and the character of this vibrant area of Dublin. 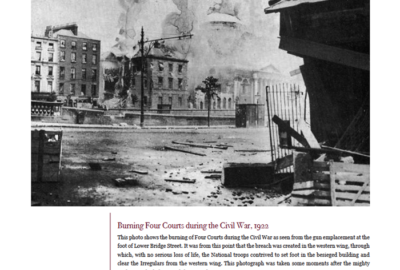 The Liberties has seen both booming prosperity and the devastating poverty of tenement life, witnessed the 1913 Lockout and the 1916 Rising, and has changed over time due to industry, immigration and modernisation. 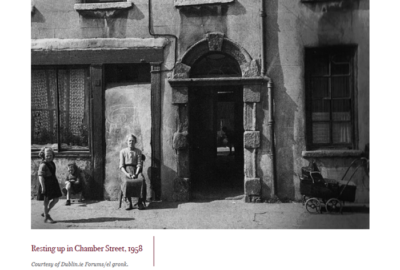 Packed full of historical photographs that are brimming with life and character, the commentary accompanying these pictures provides an insightful glimpse into what lies behind the stone walls of Dublin’s oldest shop fronts and cathedrals, from one of Ireland’s most avid social historians.